Many of you found the ideas helpful, so I thought we could make a Mother’s Day Post 2.0. I’m sitting with my mom in her living room, as she dictates the story of my brother, Jeff Tweedy and the song that made her cry. He is a man of few words, so these lyrics spoke volumes to me. Years later, we ended up dancing to this song at his wedding. I know my son, Jonathan, has deep emotions–and for a long time, I didn’t give him enough credit for being deeply emotional because he didn’t express his emotions the way I thought he should (a.k.a. like me). This song opened my eyes to how he really felt. I have chosen to cherish this song because I knew he was making an effort to communicate how he felt about me. There is so much power in words, even if verbal expression isn’t your thing. Through a song or note, you can simply say the things your mom (or wife) is wondering if you feel. Men who understand this hold the ability to give the greatest gift. If you convince yourself, “Oh she knows I love her, I don’t need to say it,” you miss out on the opportunity to give your mom a verbal gift that costs you nothing, but is priceless to her. Even as I listen to this song again this morning, I started crying because I know it expresses what he feels. Of my two sons, I have one who is far more affectionate than the other–and he has been that way since I brought him home from the hospital. I love that he is made uniquely and I have accepted that he is different than me. So this song, and that moment many years ago when I discovered the note and pushed play, is a memory I will cherish for years to come. loved this. I especially like what Sarah said about the wisdom of allowing our children to be who they are and not who we expect them to be or wish they were. Yes! And all three of us kids were very uniquely different. This is powerful. I am a man of few words when it comes to face-to-face conversations, but I do not mind writing down my thoughts. That being said, I have never considered writing a letter to my mom. She is a wonderful woman of God, and I love her very much. This year is a particularly difficult Mother’s Day. Grandma passed away in January. She was a lovely woman who’s passing has left a huge hole in our family. 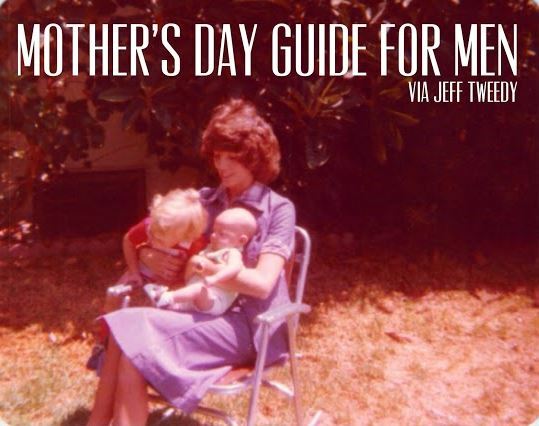 Now Mother’s Day is upon us, and my mom is without a mom. I have been debating with myself how to approach this day. Writing her a simple note expressing my feelings is a great idea. Thank you for your insight and enlightenment. May God’s grace continue to be upon all of you. She will be moved. Thanks for sharing Nathan!